Adaku is wearing Mat velvet+ liquid foundation in 75 from Makeup Forever, True color stick foundation in Carob from Black Opal and Michel Deruelle (Maqpro) cream pigment in No.2004 (contour). Her foundation is set with Deluxe finishing powder in Dark &amp;amp; Neutral light from Black Opal, Face contour in Dark from Sleek and Mineralize blush in Loverush from Mac. Brows filled with brow pencil in No 3 from Makeup Forever, Black opal stick foundation in Truly topaz on her brow bone set with D.S 463 eyeshadow from Inglot. On her lids, Eyeshadow primer potion in Sin from Urban decay, in her inner & outer corners No.92 eyeshadow, in the middle No. 167 eye shadows both from Makeup Forever and in her crease Kush eyeshadow from Urban decay (book of shadows III). I lined her upper eyelid with MaqPro liquid eyeliner in black, waterline with Bobby brown long lasting gel liner in Black ink and her lower lash line with No. 92 eye shadow from Makeup Forever. 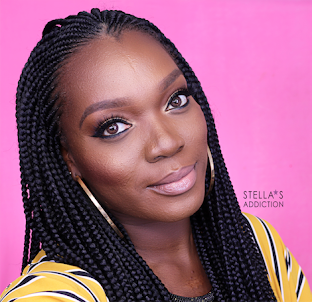 Adaku is wearing Eldora eye lashes in B 155. Daks started out with a "go big or go home" lip; Strumpet lip tar from OCC lined with Rouge artist intense lip stick in No.49 and covered with Fascinating lip loss on No.11 from Makeup Forever. Then we changed it for a more "wearable" lip; True color lipstick on Fawn from Sleek makeup. Who's this burriful geh! Omalicha nwa! Asamkpokoto from Sokoto! Tomato Jos! Stels I look gawjus! Thank you! Boy does she know how to beat face. 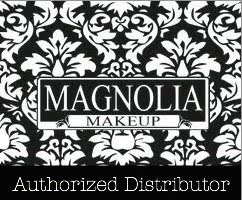 She knows makeup for women of color. Very Gorgeous look daks. I love love love this blog and I'mma favorite it alongside thirdworldprofashional. loving the eyes most especially..Gorgeous stuff! this is nice. where is Nwabugo's makeover? cant wait to see it. i just love au naturel makeovers.